Every now and then, I Google "Table Tonic" (I know, what a dork). I don't want to miss anything, see - like the subject of this very post. Right now, Table Tonic is Nett magazine's "Spotlight" business, and if you know me, you'll know that this makes me happier than being asked to pose for the cover of Vogue (shudder)!! Anyway, enough waffle. Check it out. 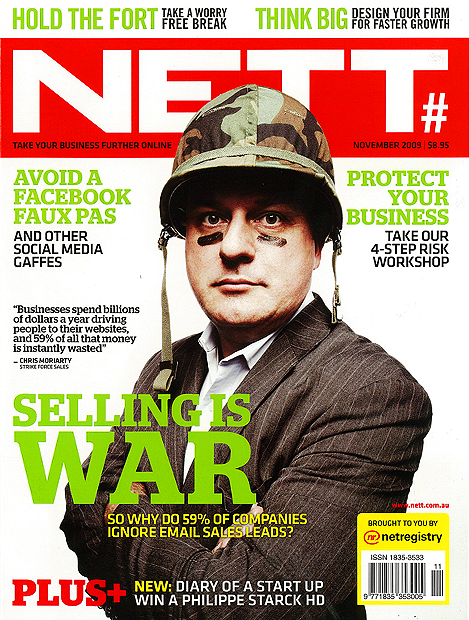 PS I've said this before, but if you have an online business or website of any kind, you need Nett mag in your life. I am one step short of building a Nett-shrine in my loungeroom, people. It is THE GOODS! 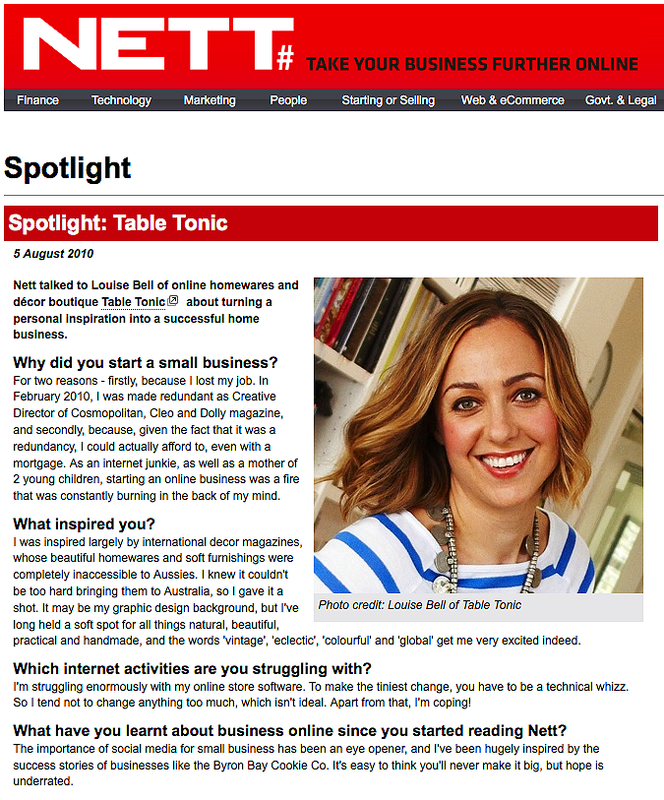 Congratulations Louise. Yet another fabulous achievement. How lovely to be recognised by a publication you so admire. Congrats!! soo exciting :-) u desirve it! I was going to leave you a message about Google alerts, but seems Sam beat me to it! I did do a post about it on my blog if you want to read a little more about it.